Blackberry Kush is an indica strain. Blackberry Kush strain is incredibly potent, especially considering its 20% THC content offering an amazing high. The buds are dense, covered by trichomes and red hairs. 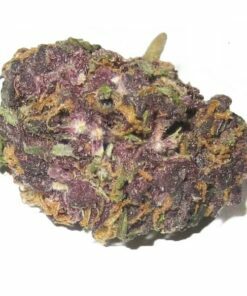 However, you will notice hues of yellow, purples and blacks laced throughout the vivid buds. On the other hand, it has a very strong Kush aroma that is smooth-sweet and heady. This explains why it is highly preferred by patients suffering from pain and insomnia. However, since it is an indica dominant strain, it is better for night time use. 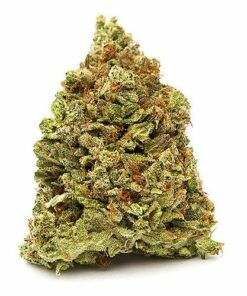 BlackBerry Kush strain has a lot of medical applications and is prescribed to patients who are unable to cope with nervousness, anxiety and stress. This mostly indica strain is a mix of Afghani and Blackberry strains and has beautiful dark purple buds with orange hairs. Plants will flower at 7-8 weeks and are not particularly high yielders, but the dense, hard nugs have crystals throughout. Blackberry Kus strain tends to have a hashy, jet fuel smell and taste that is balanced by sweet berries. Blackberry Kush is often recommended for the treatment of pain thanks to its strong indica body effects.